Yep, it's November, and I'm already writing about taxes. But the reality is, this tax year is coming to an end, and as a small business owner, it's something that's on my mind as things wind down. Whether you're a business owner or not, chances are, you file taxes once a year. And with the new health care component of filing taxes, it's a good idea to start thinking about it in advance. If you're wondering why I'm writing about taxes/health care reform on a lifestyle/design blog, the reason is simple. I recently learned about TurboTax's efforts to make the health care law simple when filing taxes, and now I'm feeling a lot more confident about things. So I'm sharing the details here, in hopes that it will make things easier for you as well. I'm here to help, guys. Another reason I'm writing (and thinking) about this now is Open Enrollment for the health care exchanges just started (on November 15; it ends February 15, 2015), and it's important to understand what the health care law means for filing taxes next year. 2014 is the first year all Americans are required to maintain health insurance, so you'll be reporting it on your taxes in 2015. This new requirement does not, however, mean that you need to pay extra for a tax preparer. TurboTax has been simplifying the federal tax code for the past 30 years, and it has done the same for the Affordable Care Act (ACA). With software like TurboTax, you're never exposed to the ACA forms - TurboTax has already done the work for you and will ask you the questions you need to answer so you can be certain that your taxes are done right. And for most people (9 out of 10 taxpayers), complying with the ACA on taxes takes checking a box on their tax return to confirm they have health insurance. For most people (9 out of 10 taxpayers), complying with the ACA on taxes is a non-event because they have insurance through their employer, Medicaid, Medicare, or a private provider (Congressional Budget Office). They will just check a box on their tax return to confirm they have health insurance. There's no need to spend more on tax preparation. This year 8 million people became insured through healthcare.gov or their state exchange (Congressional Budget Office). Those who purchased insurance through the exchanges will receive a 1095-A form from healthcare.gov or their state exchange. They will enter information from their 1095-A on their taxes, just like they do with their W-2 forms. Roughly 42 million people are uninsured in America (Congressional Budget Office). Those who do not have insurance and don't qualify for exemptions will pay a penalty of about $95 or about 1% of their income. If you're currently uninsured, you may want to consider buying insurance this year during open enrollment. 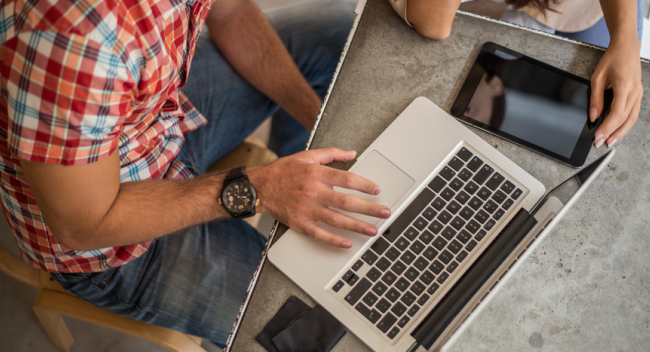 TurboTax has a free calculator to estimate how much your penalty may be for 2014. The health care penalty is based on your family size and income. You can find the free calculator at TurboTax Health. Exemptions: About half of people that are uninsured could qualify for an exemption, but most people are unaware and will end up paying unnecessary penalties (Congressional Budget Office). Only 5% of people that qualify for an exemption have applied (TurboTax). There are a number of reasons why someone may be exempt from the penalty for not having health insurance, like not meeting the minimum income requirement. 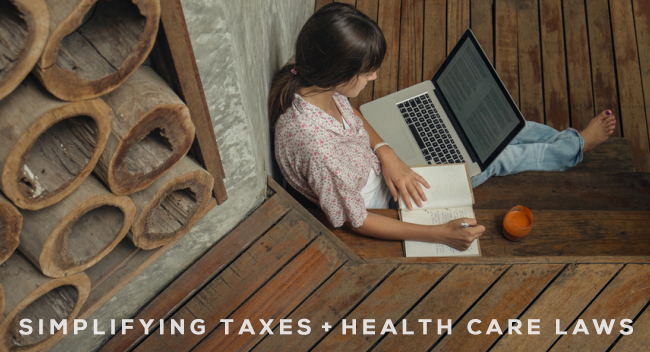 TurboTax Health offers free tools to help you understand if you might qualify for an exemption. 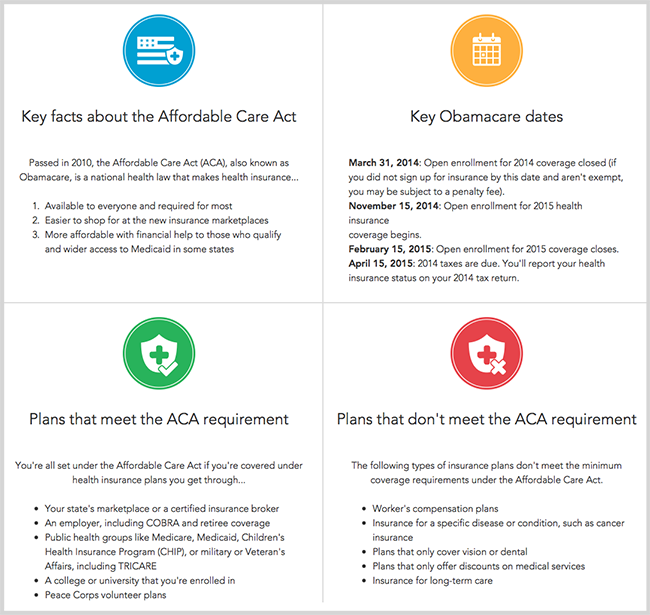 A few more important things to note: To enroll for insurance through the Marketplace for 2015, Americans must sign up during open enrollment period, November 15, 2014 through February 15, 2015. Americans who can't afford health care through an employer or out of pocket can enroll for insurance through the Marketplace and may even qualify for government assistance though premium tax credits and subsidies. Eligibility is generally determined by household income and family size. 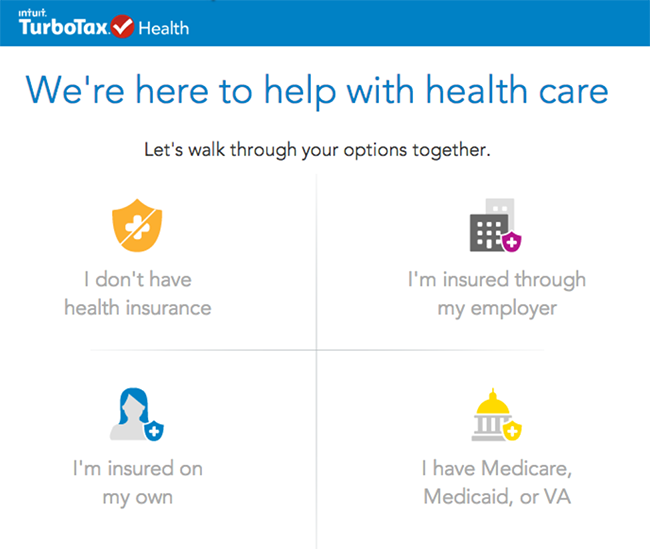 People can see if they're eligible for a subsidy by checking out TurboTax's health care calculator at TurboTax Health. This is totally new to me. Thankfully I have coverage through my husband's work and I am not great at keeping up with the news as I feel like it is rarely good news. Anyway, thank you for sharing this, it is very interesting. There are more and more people who choose to go into business for themselves, work temp jobs or with employers who don't offer coverage. It is a new world out there.